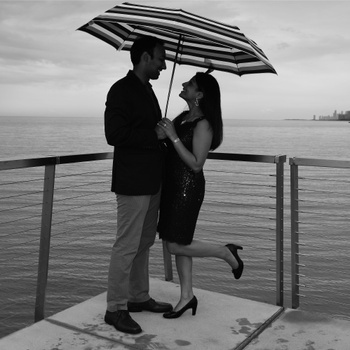 Nirali and Aashish met on the very first day of their undergraduate years at Northwestern University in Evanston, IL. As they say, the strongest relationships start out as simple friendships, as did Nirali and Aashish's. Over the course of four years, they became best friends. 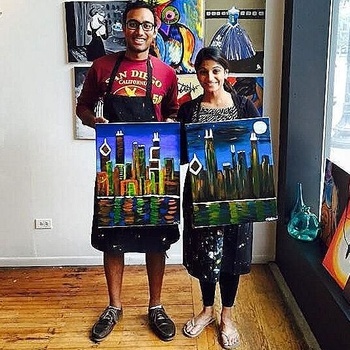 Little did they know what this friendship was about to blossom into..
During their last few weeks at Northwestern, Aashish finally built up the courage to ask Nirali on their very first date. Of course, he didn't have to say much before Nirali realized that she too was head over heels for her best friend! Aashish and Nirali's love story continued to unfold as the couple moved on to the next chapter of their lives. 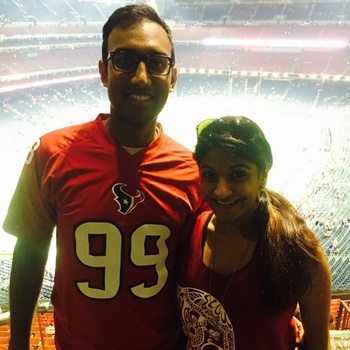 Nirali started medical school at Feinberg School of Medicine and Aashish started his career as a Chemical Engineer. They felt so lucky to be able to spend time together in the city where it all started! In 2015, Aashish was given an incredible opportunity to work at Chevron to advance his career in Chemical Engineering. Just one catch, this meant he would be moving back to Houston! Long distance most definitely made their hearts grow fonder. The couple made the most of this time apart by frequently meeting each other in destinations across the US and the world to vacation and spend time together! Four short years later, the couple was ready to turn a new leaf. Nirali matched into an Ob/Gyn residency at Cornell, and was so excited to move back to the East coast. Meanwhile, Aashish was also ready to pursue the next step in his career, and was accepted to Columbia's Business School. 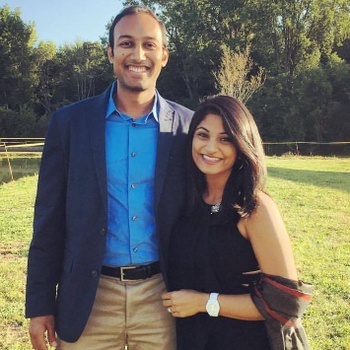 As they packed up and prepared for their big move to New York City, Aashish realized that he had to do one last thing before leaving Chicago-- propose to the love of his life! 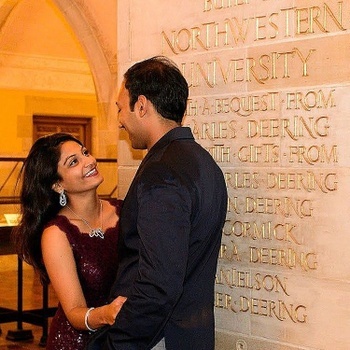 The couple got engaged where it all began, on Northwestern's campus where Aashish had asked Nirali to be his girlfriend 4 years ago. Of course, she said yes!